Rebecca's love of animals began in early childhood growing up with a menagerie of pets including dogs, cats, chickens, guinea pigs, rats, and reptiles. 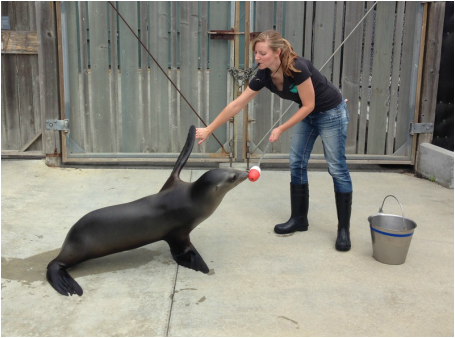 After graduating as a Biologist from the University of California - Santa Cruz, Rebecca started her professional animal training and behavior career at the Pinniped Cognition and Sensory Systems lab. Her years training seals, sea lions, and sea otters solidified Rebecca's passion for working with and enriching the lives of animals. After becoming a dog parent of a reactive dog (Duke) and a performance dog (Splash), Rebecca became determined to make her livelihood helping people understand and work with their dogs. She is a graduate of Trish King's Canine Behavior Academy, an AKC CGC & Trick Evaluator, attends seminars for continued education, and is an active member of the world-wide trainer community. Rebecca has earned her Canine Massage Therapy certification and is a member of the International Association of Animal Massage & Bodywork. Rebecca competes in agility, rally, nosework/scentwork, dock diving, & lure coursing. 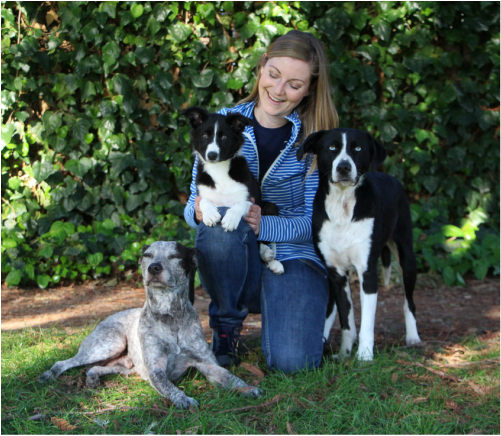 Rebecca currently lives in Santa Clara, CA with her three dogs Splash, Wren, and Duke.